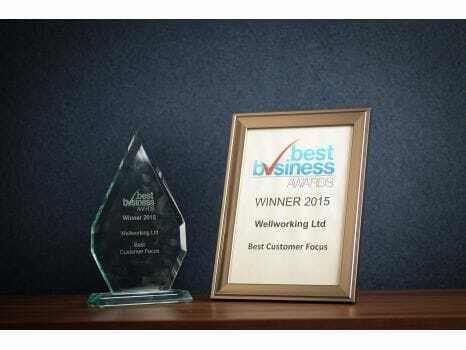 Wellworking Ltd is one of the UK’s fastest growing online suppliers of contemporary furniture. The company was established in 1999 and is based in West London. We have three distinct business areas, all interlinked: Our Online Store, Commercial Projects Team and Workplace Wellbeing Team. Our mission is everything about working well, and we achieve this by delivering excellence through quality products, expertise and outstanding service. Wellworking employs experienced professionals with a focus on ongoing career development. That's why all of our client facing staff are fully DSE trained and have developed their industry and product knowledge to ensure that our clients receive the most suitable and up-to-date advice and service. Click here to read all our reviews on Trustpilot.